medical gases markets especially in the Tokyo region. to pursue the development of SSKK business. almost 100% of the population. both in medical gases to hospitals and in home healthcare business. will deliver greater value to healthcare professionals and patients. will also fuel our future growth”. 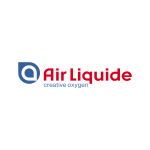 a technology & research base for Air Liquide in Asia and beyond. the core of the company’s activities since its creation in 1902.